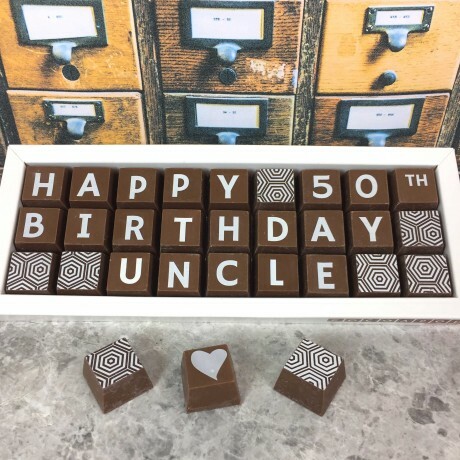 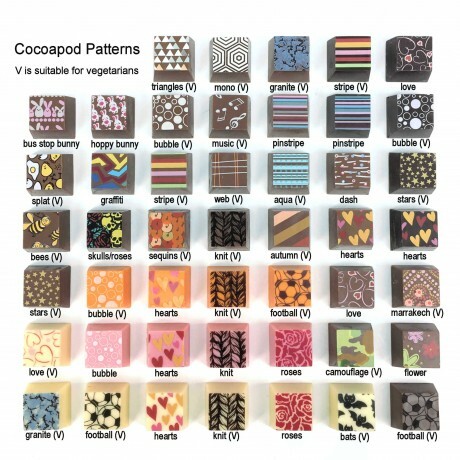 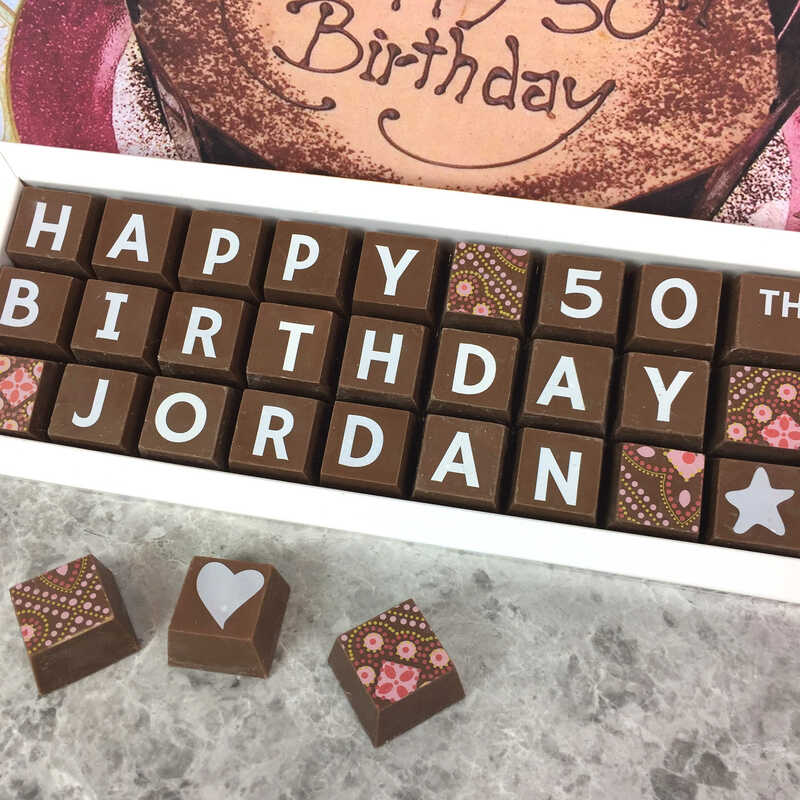 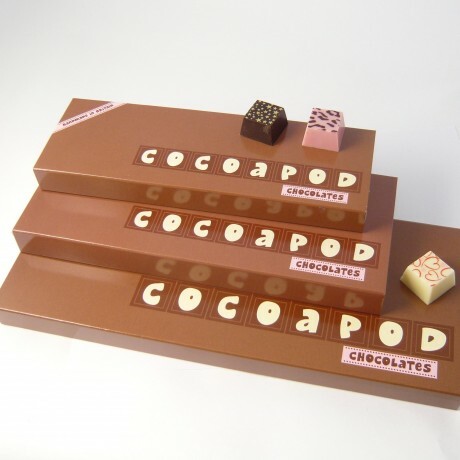 Create your own happy 50th birthday message in solid blocks of delicious Belgian couverture chocolate. Add any name up to 9 letters and if you don't want a number that's fine. Not a 50th birthday? 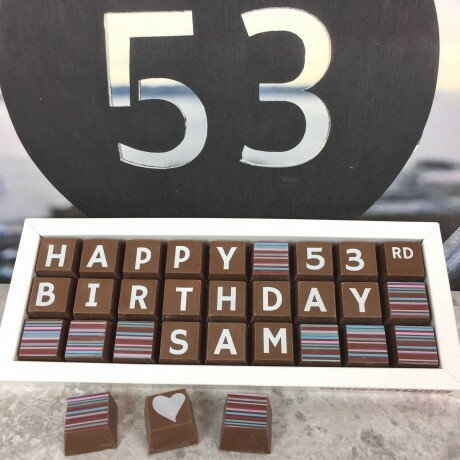 Then add any number you like! Please note that food products cannot be returned unless faulty.